So How Can You Protect Your Ability to Hear? Experience the convenience of two offices – located in both the Mendocino and Lake Counties, with offices in Ukiah & Lakeport. Contact us today to see how we can help you hear better! 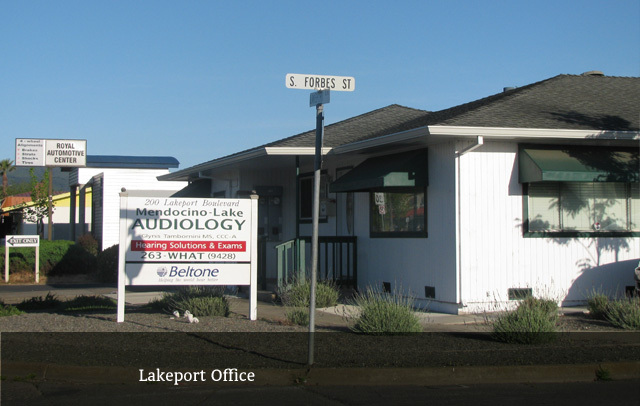 Our experienced &professional Audiologists and staff at Mendocino Lake Audiology will provide you with the most comprehensive care & guidance in all of your hearing health needs. We stock hearing aids from Oticon, Starkey and Widex. 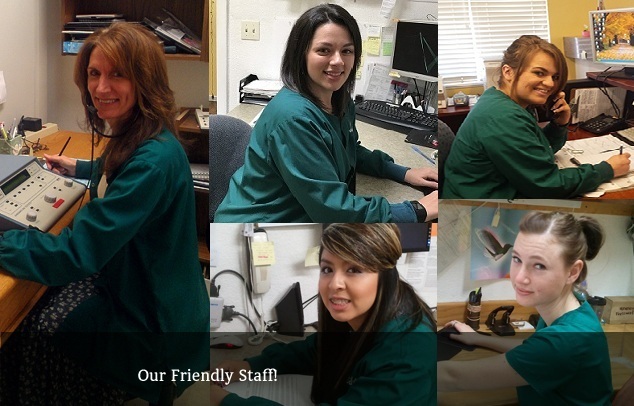 Meet our friendly and knowledgable administrative staff and audiologist. Would you like to save time before coming in? "Excellent all around. Everyone is great. Very helpful." "My experience with Glynis at Mendocino-Lake Audiology has exceeded my expectations. I needed new hearing aids and was considering going to Costco to save some money but after two friends DID get their hearing aids at Costco and had such poor results I decided my hearing was too important to me to save a little cash. The Oticon hearing aids are so high tech and adjustable you really need someone who's an expert like Glynis. She has worked with me numerous times to get everything just right for my concerns and hearing loss. Every time I need something she is really kind and willing to spend lots of time with me which I really appreciate so much. The Bluetooth phone connection is really amazing and the first time I was outside in strong winds and needed to make a call I dialed the number and as soon as it connected all the wind noise stopped and I could hear perfectly as if there was no wind at all. Emily in the office is so nice and helpful. This is the only place I trust to work with they are the best!" "Thank you very much for the lovely care and help that you've given me during the process of bringing my hearing up to speed. You've all been so kind and cheerful and I'm feeling very grateful for again hearing many of the sounds of life I've forgotten about. My family thanks you for the many "whats?" they've not heard from me lately. I promise not to think of you when the dogs are barking. 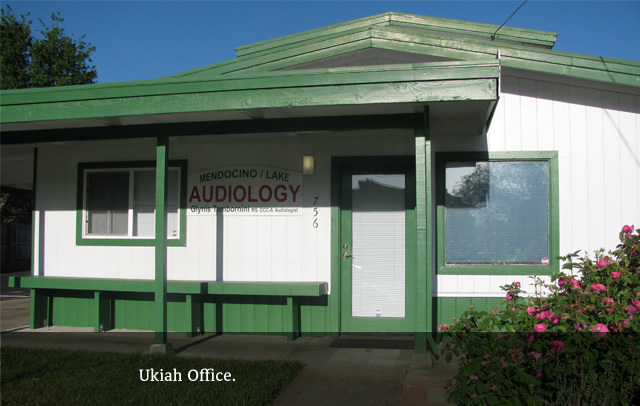 :) "
"It has been a pleasure dealing with the staff of the Mendocino Lake Audiology group. They were very understanding and did a great job taking care of our needs. Thank you very much." "Not knowing what to expect, the people in this office made me very comfortable. I am pleased with the way they took time to make sure I could hear well. I am pleased with them and my hearing aids." "Knowledgeable, thorough, helpful, extremely friendly. I would recommend them for any hearing aid consultations and purchases. A very satisfied consumer for over 7 years and have upgraded to their most advanced aids and glad I did!!!" "The personnel at Mendo-Lake Audiology went above and beyond to help me with my hearing problem. All of the personnel were very friendly and answered any questions I had. Highly recommend to anyone." "What an incredible difference! Total frustration had occurred with my Oticon Alta and Glynis had done everything to get me over the hurdle of wanting to put a sledgehammer to them. Then I tried the Oticon Opn and frustration turned to total contentment in less than three hours. All the frustration with having to remove my aid when talking on the phone, losing conversations in a group setting, feedback from seat belts to vehicle air conditioning were completely gone. I no longer have my fingers in my ears trying to adjust earpieces or fiddling with volume control to hear well. All my frustrations are gone. It was unbelievable. And the best part of all, I’ve totally forgotten that I’m wearing hearing aids! The Oticon Opn is truly a fantastic technological advancement over my Alta. I would recommend them without any hesitation. They are incredible!!!" "I was very nervous about getting hearing aids. I was put at ease right away about my hearing problem. Glynis was very knowledgeable and helpful. I was able to try different devices before I purchased and wasn’t rushed at all (3 month trial). I went home that day with a trial pair. My life has greatly changed." "Personable, efficient staff and highly trained audiologist who is truly an expert in the field"
My name is Richard and I have worn Oticon hearing aids for about 6 years. I recently purchased a pair of the latest version of the Oticons and the improvement has been a wonderful experience. The originals were very good, however these have surpassed them in several ways. I can hear the birds, insects and frogs with a wider range of clarity and crispness that were not there before. The difference they make in a crowded environment has also greatly improved. It makes it much easier and more comfortable to stay engaged in a conversation with a noisy background. It is controllable with my iPhone and the battery life is about the same as before. "As a Public Health Nurse, we assist families with children with health needs to get care. A small child was referred to the University Hospital 125 miles away for hearing testing. On their first try, the little girl had fluid in her ears, so the trip was wasted. Glynis had the family make an afternoon appointment at the University and checked the child’s ears before the family made the long trip. Free. Just because!" "So far, my favorite aspect of my new OPN hearing aids is the fact that I can hear perfectly on long-distance conference calls. I don’t have to hold the phone to my ear!!! Other benefits? I can hear which direction emergency vehicles with sirens are coming from." 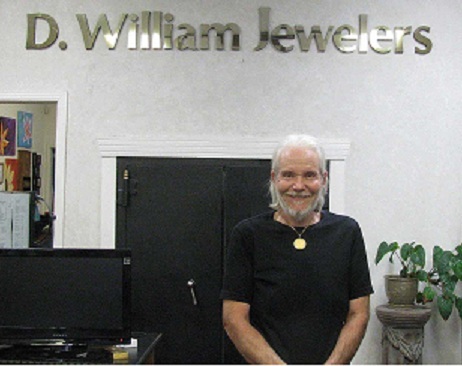 "Because of my new OPN hearing aid I feel like I can do anything… Big box stores could never have given me the satisfaction that I received from going to a local professional." "The sales, fitting, and service is terrific. The hearing aids are great." "Very helpful – Knowledgeable – Easy to work with. Very satisfied with her work. Nice person." "Outstanding service! Great explanation of my hearing problems. Very friendly staff." "The evaluation and treatment recommendations were thorough and not rushed! A temporary device was provided in a trial." "Personal service. I was able to try two different demos before I chose." "I have been getting my hearing needs taken care of from Glynis at Mendocino/Lake Audiology for more years than I can remember. I'm very appreciative of the quality of their service, their caring and friendly attitude and reasonable cost compared to other audiologists. I have recommended Mendocino/Lake audiology to friends, who have also been happy with the service." "Glynis and her staff at Mendocino-Lake Audiology are awesome! They are always so helpful and nice. I recommend Mendocino-Lake Audiology when I meet someone with hearing problems, they changed my life and I'm sure they can do it for others....The staff makes me feel so welcome that I sometimes stop by just to chat for a moment even when I don't need anything." -Wayne M.
Write a testimonial about us, be sure to check the Testimonials box.